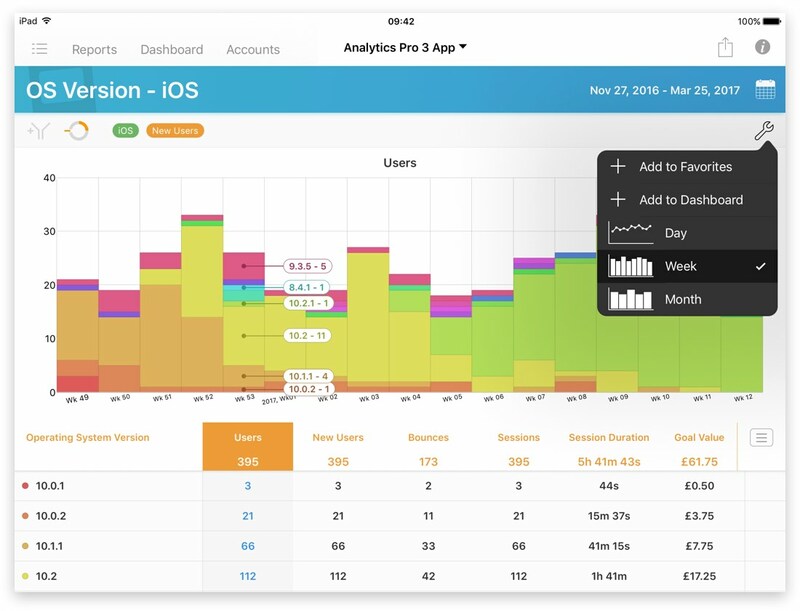 Six beautiful Dashboards present your Analytics data simply and with great clarity. 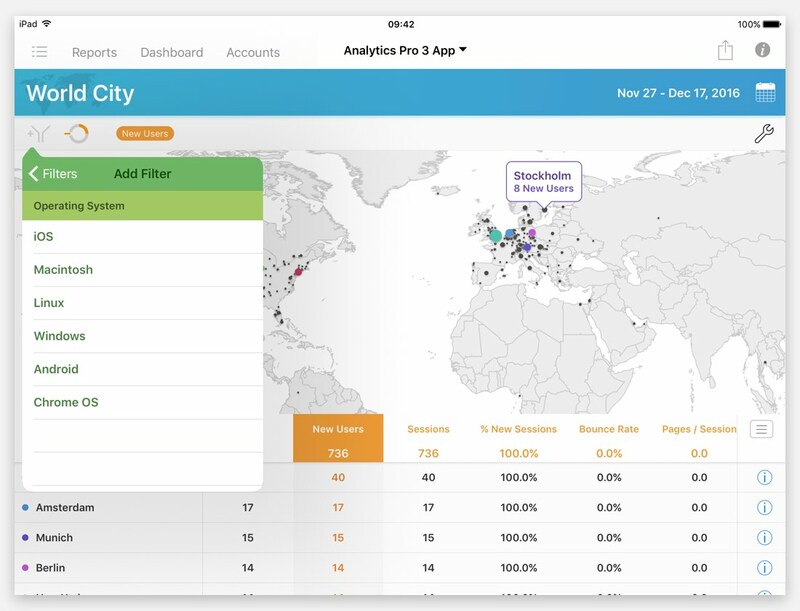 Dashboards are fully customizable and interactive, so detailed analysis is possible without effort. Analytics Pro 3 uses the latest Analytics API v4 in order to take full advantage of the most advanced features of Google Analytics™, such as Pivot Tables to deliver game-changing analysis. 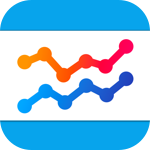 Custom Reports put the full power of Google Analytics™ at your fingertips. 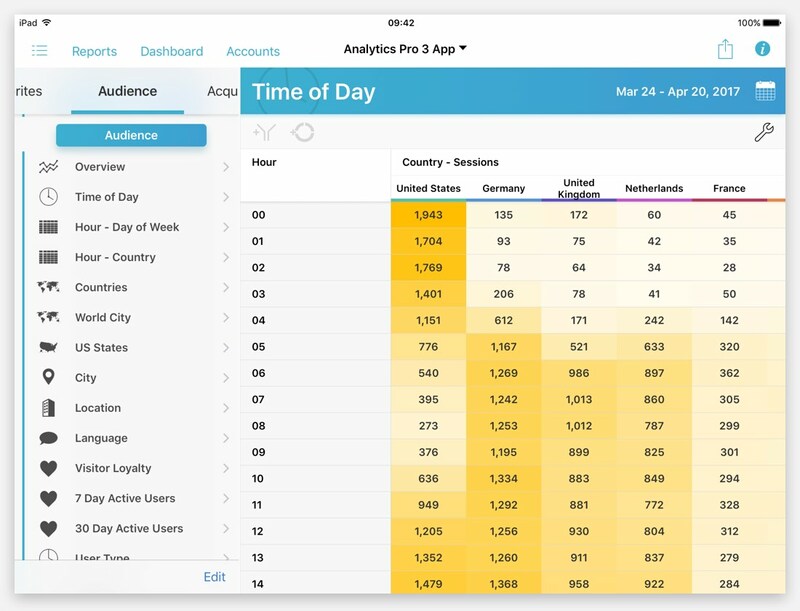 Choose from 9 templates and create reports that are more detailed than ever before. Filtering and Segmenting your data is essential for great insight. 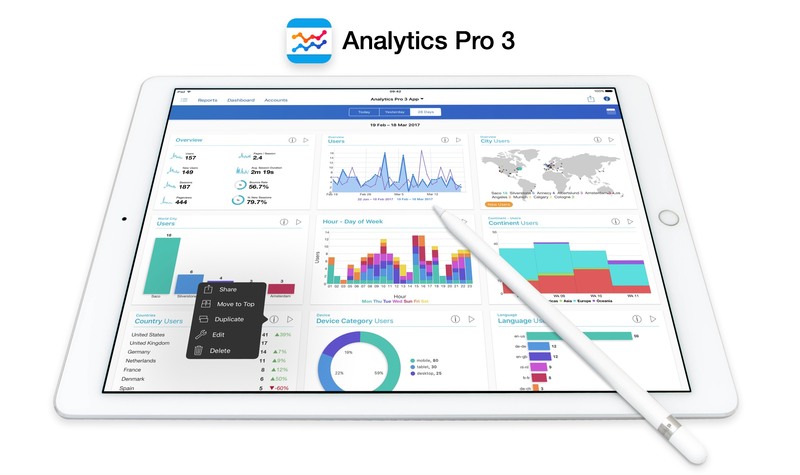 Analytics Pro 3 has powerful tools that make it easier to filter reports and dashboards, and drill down into your data. 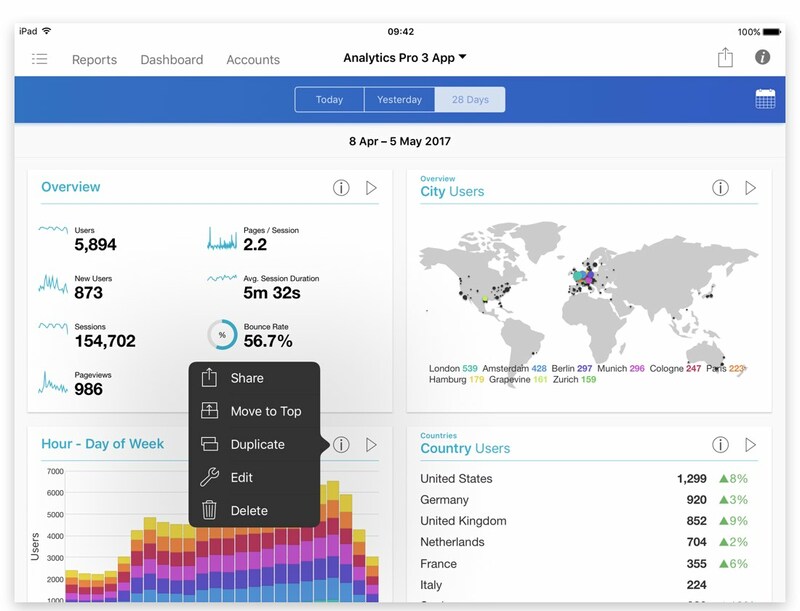 Dashboards and Reports can be exported in PDF format and sent to printers using AirPrint. Dashboard cells can be shared to Social Media or as image files.